There are many different opinions on how best to learn something. Some people claim that you should read and practice, others say that a live presentation is the best. A couple options we enjoy using on the iPad, it’s about live presentations that are very precise in topic with lots of technology and we can take it with us. These two education providers for the iPad (and desktop) are similar in that they are instructors speaking and using the technology of the iPad to deliver the message. 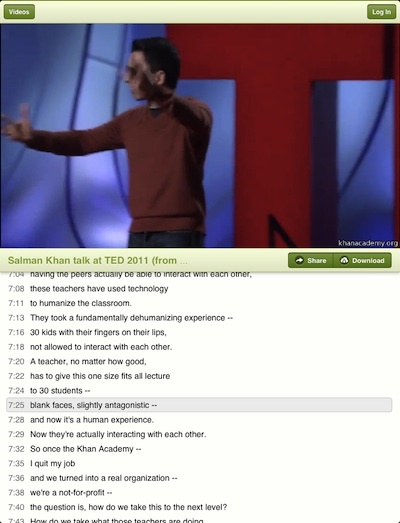 Different is Khan Academy is Khan presenting and ShowMe is any teacher/instructor/neighbor around the world. Neither are superior to the other for all people, they each carry unique bits that means one may work better for a person than the other. 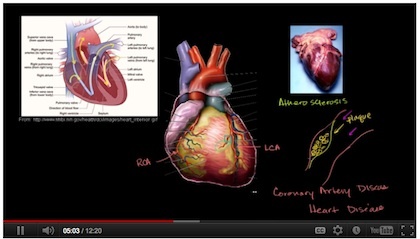 The free Khan Academy app brings the library of 3300+ lessons to your iPad. Most people know the Khan system for it’s math lessons, but it goes well beyond that to include history, health and economic videos too. Each are narrated by Khan himself talking as he draws/writes on the screen. Some images are included in videos where they are needed for clarity. The courses are simple to very detailed. There is a rhythm to the lessons that make it easy to follow. Each video can be viewed online of downloaded to view offline. 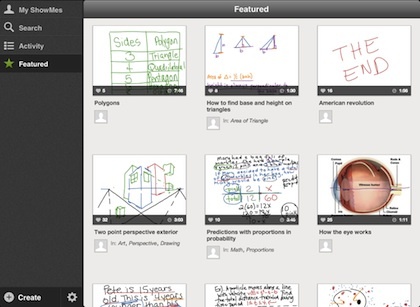 Khan Academy supports single or full group video downloads. Imagine, a ‘personal’ like instructor guiding you through a lesson anytime you want via your iPad. The Khan Academy ‘system’ is well known for tapping into all the powers available. As the video plays, the transcript is below. Tapping on an of the transcript text will advance or reverse the video to that particular part of the presentation. In the case of the desktop version, moving the progress marker shows a thumbnail of the screen at that point, great for getting back to a particular bit of information later. By setting up a free account and logging in, your lesson completion can be tracked. The Khan Academy app is reported to support exams in the future. While ShowMe may look over simplified compared to the system above, it really hits home with how many folks like to learn. ShowMe is a free app that can be used to access lectures as well as create new ones. It is in it’s most basic description, a recording of a electronic whiteboard and speaker’s voice. But, don’t let that ‘simple’ description fool you. The videos are created by knowledgable people around the world. Providing lessons on simple math to very advanced lessons. We can see this system expanding fast as a way to quickly reach out to students, parents, coworkers and friends and share a thought or process drawn on the board. No longer do you have to take snap shots of a whiteboard on the wall or try to video record doing a presentation to share with others. Start the ShowMe app, insert an image if you need, start the recorder and draw/talk through your presentation or lesson plan. When done, save it up to the ShowMe online system location. 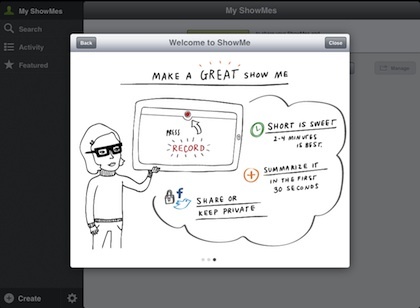 ShowMe offeres a library of publicly available recordings to view online or on the iPad. There is also a secure side of the system that allows private recordings and viewing groups to be created. Making ShowMe a great way for a teacher to share a lesson plan with just their students.